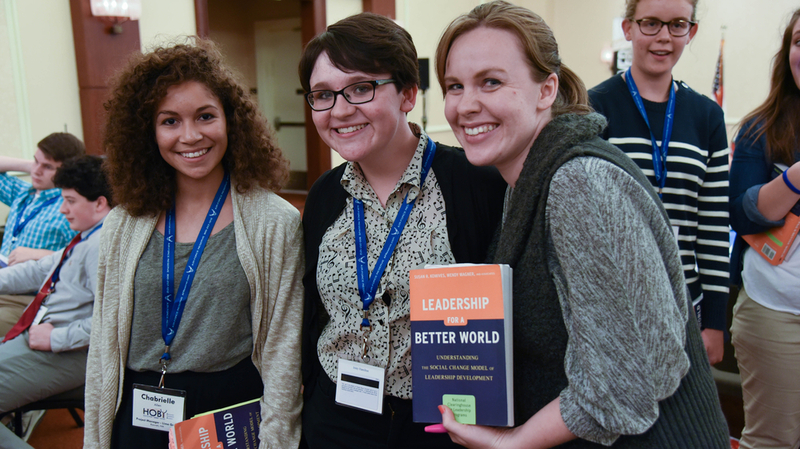 The ALA is a ­five day practical and experiential program where participants deeply examine their own leadership capabilities. 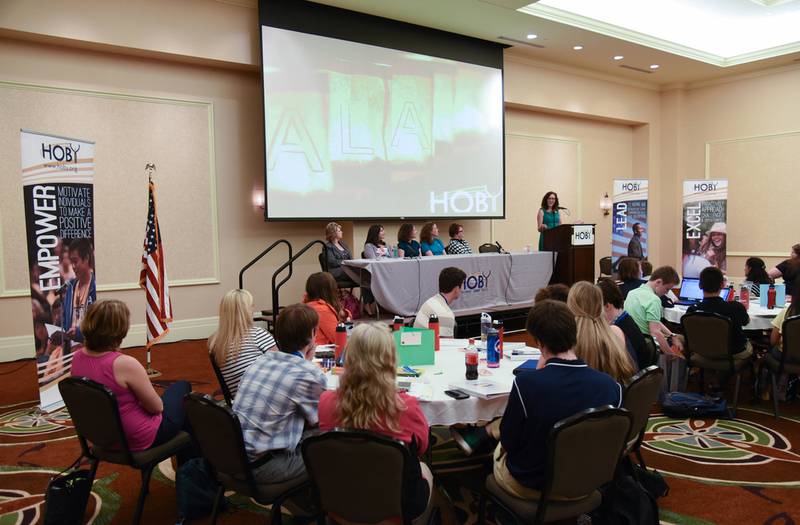 The ALA is open to all high school juniors and seniors ages 16 to 18. The curriculum is based on the college text Leadership for a Better World. 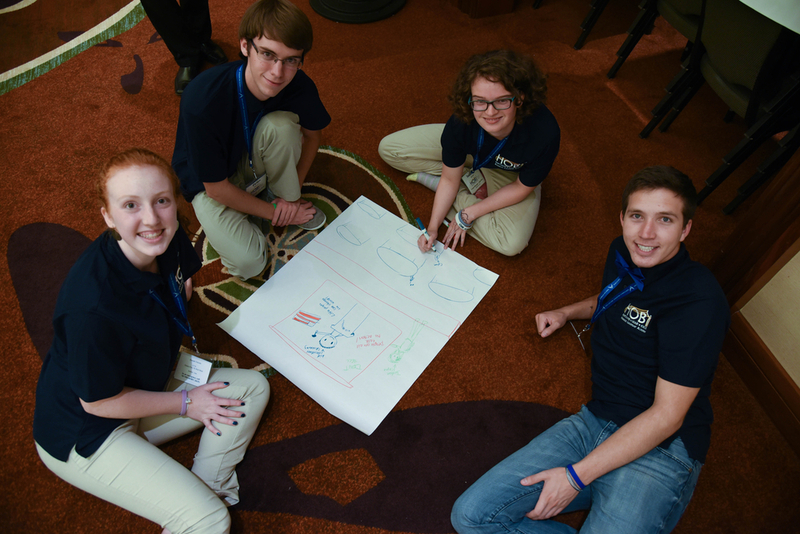 Students learn how to organize and lead a service or social project to address societal issues and create meaningful change. 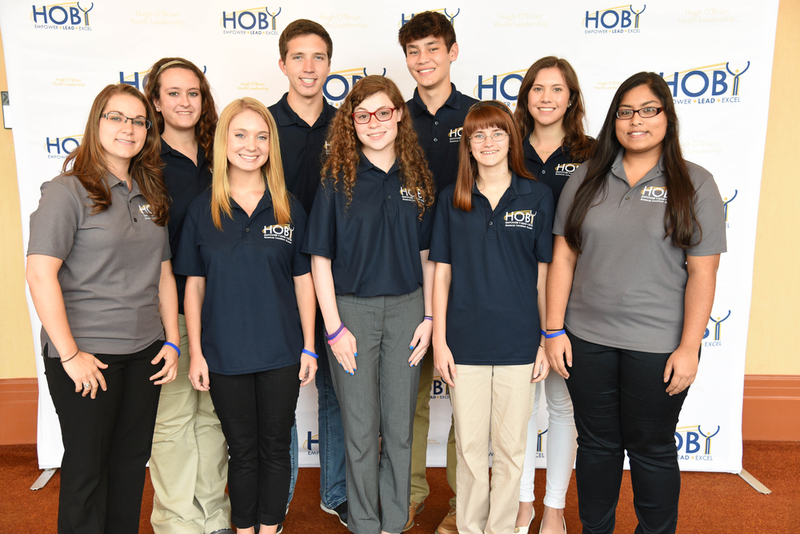 Participants meet other successful youth who have led service projects and started non-pro­fits and businesses. 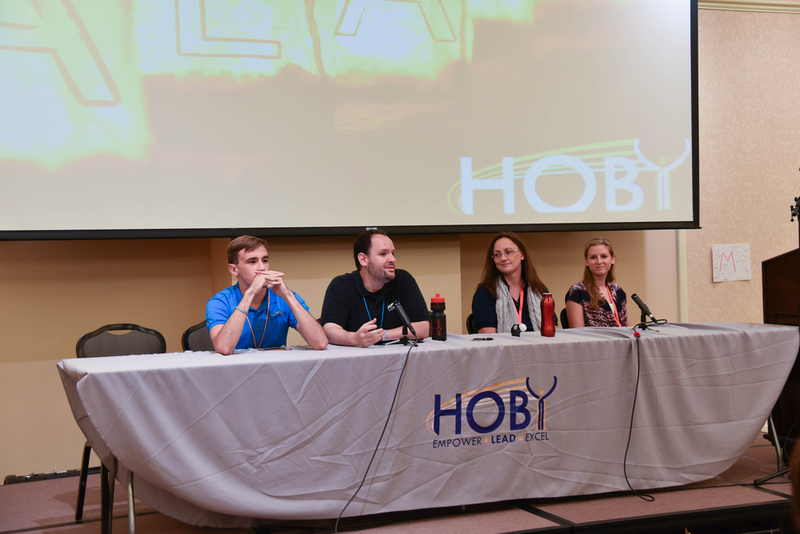 HOBY alumni are encouraged to bring their friends to share the HOBY experience. ALA participants complete the program with an actionable plan to for the next year, and students continue to receive support after the program to coach them through their project implementation toward success. 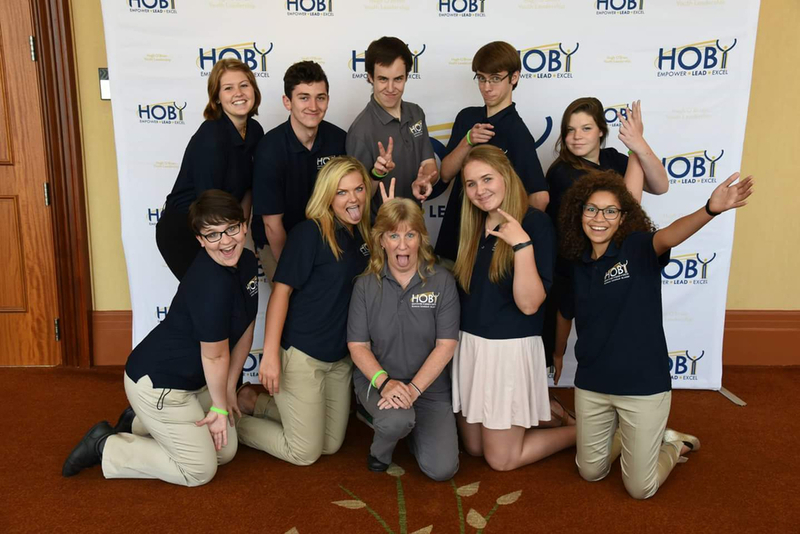 For more information and to register for 2017 ALA in Chicago please visit www.HOBY.org. I'll start my story in Phoenix. 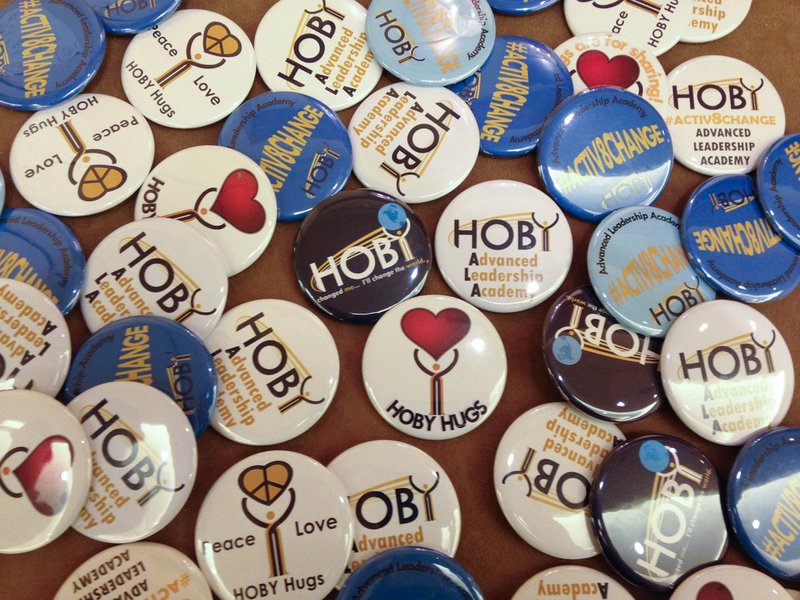 I was walking to the gate to wait for my flight, and a girl suddenly tapped on my shoulder and said, "Hey, you're from HOBY! Me too!" She scared me so badly, but I'm glad she did. She knew because I was wearing the neon orange HOBY NM shirt from our Leadership Seminar, and she was wearing a yellow Arizona one. That's how I met JoLey in Phoenix. She and Caitlyn were on the same flight as I was, and they're both from Arizona. When I first arrived at the Washington DC airport, it was about 4:00 PM. JoLey, Caitlyn, and I were the first three to arrive. We just hung out and waited for the next people to show. Then Kyle came. He's from Chicago. We went and got Dunkin' Donuts and later found that we were staying at DCA until 9:30 PM because there was only one shuttle. Meeting people as they came became entertaining. Landon from San Antonio was pretty funny. When he found out I was from Roswell, he immediately said, "So, aliens?" He didn't stop with the alien jokes throughout the whole week, and two other people, Trevor and Michael, reacted the same way when I met them later in the week. We had an 'introduction circle' going for a while, and then Cohen moved to the middle so it didn't last. That night, I met my roommate, Samantha. She's lived in Roswell before, which was really cool. The next day, I found out that JoLey, Kyle, Dylan from Oregon, and Katelynn from Houston were also in the Lime Green group. It was pretty convenient as we had all become acquainted at the airport. It was an extremely busy day with opening ceremonies, speakers, and getting to know the whole scheme of ALA.
Jordan Coyne led a candlelight vigil sort of thing and talked about our inner fire, or passion. It was really interesting, and I know many of our inner fires were rekindled throughout the week, including mine. We also tweeted Ben & Jerry's to come give us free ice cream for their ActOnClimate campaign, and they responded. My favorite part of the second day was when we did reflections. We sat in a huge circle and had store bought s'mores, and there was a campfire on the projection screen. Connor Brady, a staff member, read this amazing poem called "The People Next To You." I think it's my new favorite poem. We also did an activity where we found people with complementary strengths according to our StrengthsFinder tests. My buddy was Max from Long Beach. He had more relationship building skills, whereas I was more prominent in influencing, executing, and I can't remember the name of the other category. Then we did this debating activity. We had to debate on whether national security should be prioritized over our digital privacy. It was really funny on the second turn because I was against it and Michael from New Jersey was for it. We were both using a lot of logical fallacies (avoiding the question, either/or thinking), which made it interesting. We tweeted Ben & Jerry's again, just to make more of a statement. We also began working on our projects, and that's how I met Trevor. He is a really smart kid. Insanely smart. You could tell as soon as you looked at him. That night, Samantha and I stayed up talking about random stuff until about 2:00 AM. It was pretty funny, except we were so tired the next day. 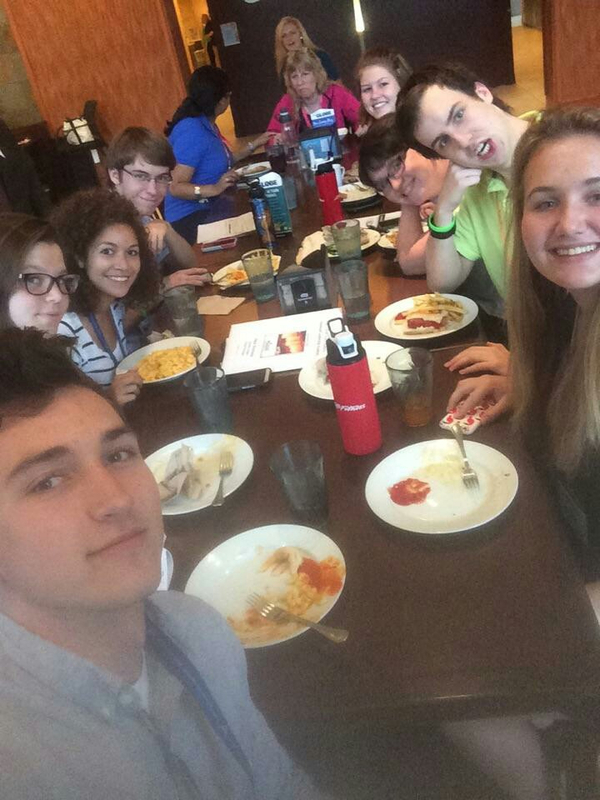 Is the Advanced Leadership Academy for you? The third day, we watched a TED Talk about making connections, and it went along with the poem from reflections. We made flowers out of pipe cleaners to model after the woman's job, which was being a silent statue and handing flowers to passersby. We stood across from someone and handed them a flower while making eye contact with them the whole time. Most people thought it was awkward, but I felt it was interesting. I can't come up with any words for it. Then they told us that the Ben & Jerry's ActOnClimate ice cream truck was outside, and we were going to get free ice cream. The tweeting worked! I also interviewed Zach Abaie (Reingold Link) for his introduction at that time. He was really interesting, and he works with HOBY. It was OUTSTANDING that we were able to live chat with Alex Sheen, the founder of Because I Said I Would. Almost all of our mouths just dropped when he came up on the screen. It was the coolest thing ever. That night, we did this activity called the "Tunnel of Love." Everyone lined up and formed a pathway, and people would walk down with their eyes shut while everyone lined up told them something they felt about them that week. Eighteen people said I have awesome hair. Landon told me, "You're an alien, but you're too scared to admit it," which is how I knew it was him. Some others told me things like "I don't think I've ever seen you not smiling," or "you light up a room," and they just really stuck out to me. It was a really cool thing to do because it was pretty much anonymous, so it was really genuine. Closing ceremonies was really sad for me because I realized that I probably wouldn't see many of these great people I met for a good while. Michael gave a speech, and he had said he was really nervous. He'd even asked everyone to give him a standing ovation, so we did. We watched the ALA video, and it was so funny to hear everyone's reaction to each photo or video clip. Afterwards, we played a game similar to Thumbs Up, Seven Up, but it was "Tap Someone's Shoulder If..." and the people who were tapped didn't get up. I really liked that one. There was one that Jordan said to do: "tap someone's shoulder if you want to still be in touch with them ten years from now," and someone tapped mine. I really wonder who it was. It almost made me cry, actually, because I constantly wonder about things like that. At group reflections that night, we went around and each said something about one person, and when everyone went, we'd move on to the next. It was really funny, and a little emotional. Last, I'm really glad I had the opportunity to attend the ALA. I've learned so much about planning and how to create a successful organization in my community. The skills I enhanced there have come home with me, and I hope to use them in Roswell to create change. My project is called Operation Help the Displaced, or Operation HD. I want to get schools and restaurants in Roswell to donate their excess meals to local food pantries in order to combat the homelessness problem in New Mexico.